Light sabers, Candlesticks, Jedi Knights, Trading Strategies, and Laser beams – Would you believe me if I said there was a connection here? Today I am going to compare the famous sci-fi against the world of the Forex trader. The story of the Jedi and the Forex trader are more similar than you might think. Last year I noticed a trending pun floating around on social media from the Star Wars fans, branding May 4th a special day for the franchise. If you read out the date ‘May the fourth’, it sounds like the famous line from the films – ‘may the force be with you’. So I decided to do dedicate a special article for this year’s May 4th. Every time I think about the stories in Star Wars, or watch the films – it always reminds me so much of the struggles that we as Forex traders face in our trading journey. Today I am going to look over the uncanny similarities between both worlds, and for those who aren’t familiar with Star Wars – I will keep you in the loop by explaining certain aspects of the Star Wars ideology. The main focus of the movies is telling the story of a select group of people who are looking to reach the status of a ‘Jedi Knight’. A Jedi Knight can be compared with someone in our reality who possesses a skill & mind set that sits halfway between a ninja and a monk. The ‘Padawan’ which is a word that basically means an apprentice, must go through an unforgiving journey to learn a specific set of skills, and build up a concrete mindset before being able to reach the status of Jedi knight. Sound familiar? As an ‘apprentice’ Forex trader, you start off your journey with no idea what you are in for. The untrained eye sees Forex as a bunch of candles with two options ‘buy or sell’. How hard could it be? As we all know too well, becoming a good Forex trader is so challenging that not many people reach their end goal. The major reason we see such a drop off of success in the industry really comes down to people being overcome by the psychological pressure the markets manifest within them. One main challenge of the Jedi is to build the ultimate level of discipline by improving their knowledge, skills and maintaining a positive mindset by rejecting negative or dangerous emotions. To be successful in this industry, you are required to ascend to a level of discipline that some traders have stated is more intense than the challenge of: quitting smoking, dieting, and even comparable to cleaning yourself up from a drug, alcohol, or gambling addiction. The bottom line is, whether facing the challenge to become a Jedi knight or the challenge to become a successful trader, it’s a harsh journey which nothing in life really prepares you for. You’re taken right out of your comfort zone, thrown in the deep end, and expected to deal with it – sink or swim. To become a successful trader, you’re going to need inside you unwavering will power which never lets you give up, while at the same time constantly fuels the ambition to reach success. This is the driving force that will push you though the inevitable rough patches, pick you back up if you fall. and deliver you to where you want to be. Even if you do succeed, these high levels of discipline must be always maintained, which isn’t exactly an easy task either. Forex is not an easy journey, but a very rewarding one if you have what it takes to see it through. 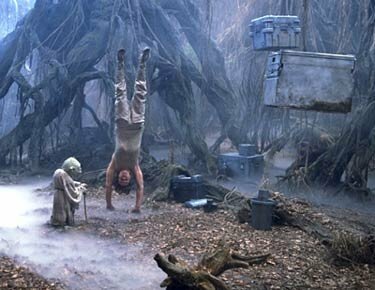 Reaching Jedi Knight status requires years of harsh training that nothing in life prepares a Jedi for. They must reach ultimate levels of self-control and discipline before they ascend to the next level – just like us Forex traders need to master our discipline and emotions before truly becoming successful traders. In the Star Wars story, Jedi are the peacekeepers of the galaxy. To do this effectively, the Jedi have a strategy, or ‘code’ that helps them maximize their effectiveness at getting the job done. Their strategy is made up with a 3 prong approach of self-discipline, expansion of knowledge, and martial art combat skills – especially with the iconic light saber weapon, which is comparable to an electrified samurai sword that can slice through thick metal like a knife through butter. Protecting the galaxy with this strategy basically becomes their religion – it’s what they live for. Stepping outside this ‘code of conduct’ is frowned upon and can kick off a whole chain of self-destructive events. You can easily compare this aspect of the Jedi lifestyle to the way us Forex traders must conduct ourselves. We’re not protectors of the universe, but we definitely must be the protectors of our capital. We also use a 3 prong approach; A trading strategy, a money management plan, and master of self-discipline. Personally – my trading strategy, my methods of managing risk, and the mindset I’ve developed – have become somewhat of a religious thing for me, too. Years ago, I adopted the price action trading methodology as my trading system, positive geared money management as my risk management model, and years of being involved with the Forex market have allowed me to reach a level of self-discipline that keeps me ‘in the zone’. For many other traders, however, it’s a different story. Most are stuck jumping from system to system, applying random risk management models, or none at all, and never getting the chance to build confidence in themselves – a big demotivator for anyone. I recommend any disheartened trader invest some time looking into trading with a price action based methodology. Honestly, most traders only start to find what they are looking for by adopting price action as the backbone of their trading system. My trading course, the ‘Price Action Protocol‘ is actually being called by some traders as their new trading ‘bible’. Having said that, an awesome trading system won’t get you far if you don’t have the money management or trading mind-set to go with it. It is hard to sit on a 3 legged stool if one of the legs is missing. 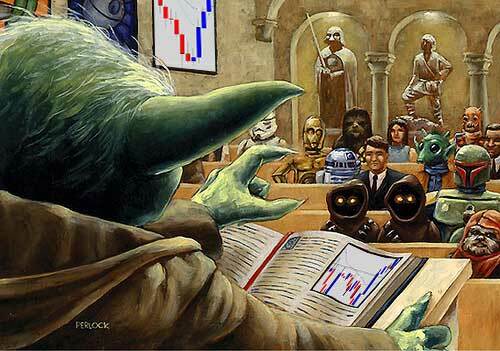 But I think many traders will agree with me here, that we treat Forex in a religious way, just like a true Jedi Knight. The Jedi’s way of life and core principles are basically a religion to them. Eventually, the way you trade will become you’re own little religious element – you will be set in your ways and find your place in the market with your own style. Star Wars is set in the future, in a galaxy far far away… so naturally there are a lot of robots running around automating an array of tasks. Some of them just clean the floor, some translate alien language and others are more like a swiss army knife of functionality which can tap into any computer system and bend them to their will. In every Star Wars story, the main characters generally have robot side kicks. They provide a helping hand when needed, but sometimes break down leaving the characters in awkward situations. In the Forex world robots exist as well. These ‘robots’, or ‘algorithms’ can provide an array of functionality like printing lines and graphs on your chart, manage your open trades and even outright trade for you. With an engineering background – I am very familiar with how these Forex indicators, and robots work internally, and have even created some of my own ‘robot sidekicks’. One of them is an extremely powerful money management tool which extends the functionality of MT4, providing advanced & automated trailing stop loss control, and quick order setup with instant position size calculation – taking out the grind of placing advanced trade orders. These sort of robots which function as ‘risk management aids’, in my eyes can be extremely handy to have as a trading partner. But keep this in mind – if the robot is ‘broken’, it could destroy your account by going haywire – opening/closing irregular trades with random position sizing. I’ve tested mine vigorously and even had other programmers test it too, and it has never let me down. If you use a robot that was cooked up in someones bedroom over night, be sure to extensively test it on a demo account first to make sure it it doesn’t fail, that way it only destroys play money. 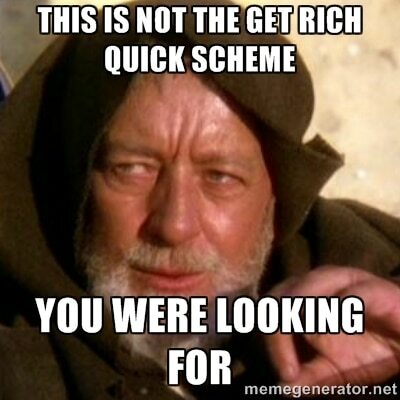 Also, beware of the trading robots sold on the internet as ‘out of the box’ get rich quick systems. For around $80, you can buy robots that claim to make you a multimillionaire by the end of the month. These robots actually scan charts and make trading decisions for you – nothing needs to be done on your end, just set it and forget it, go down the beach for an hour, and come home to 5000% ROI. Disclaimer: That was sarcasm. Most of these automated trading robots sold on the internet are just duds. The internal programming is usually something crude and simple like an ema crossover trading algorithm – they are created by internet marketers trying to extract your hard earned money via your ‘get rich quick’ emotions. I am sure profitable automated trading robots exists, but they won’t be sold on the internet for $80. They would be worth millions and are locked away in hedge fund safes or held by major banks. 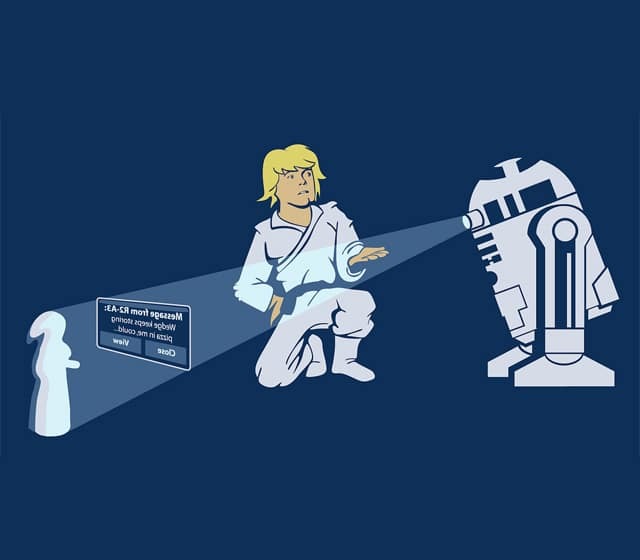 Just like in star wars, traders can have robot sidekicks too. But be realistic on what you expect your robot to do for you. Stay away from cheap robots sold on the net that promise you the world for $80. Always test any robot vigorously on a demo account first to expose any flaws or bugs. There is something called ‘the force’ in the star wars world – and it has two sides to it. The good side and the dark side. The Jedis use the force to promote peace and harmony for all, whereas the Sith (the bad guys) use the force to control and rule over all. In Star Wars, a Jedi named Anakin Skywalker, loses control of his emotions and turns to the dark side of the force, which basically transforms him into the ultimate bad guy. 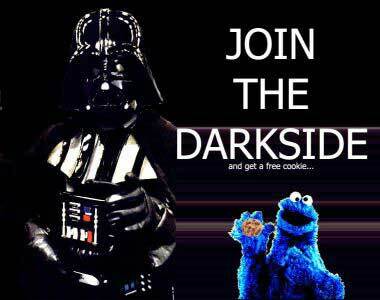 Pursuit of the dark side, however is a self-destructive endeavor fueled by emotions like greed, fear, anger and hate. You can go as far and say there are two sides of Forex trading as well. One side where you’re in full control, everything is cool, you’re playing your trading strategy by the book and always applying good risk management. Being greedy and over reaching, revenge trading and forcing trades out of the market when there is nothing really there. Losing control of one’s emotions can lead to the use of very high risk position sizing and horrible outcomes. Welcome to the dark side. This sort of behavior is generally kicked off by frustration with the markets – losing control of discipline and having an unrealistic expectation of what the Forex market can do for you in a given period of time. Let’s be honest, we’ve all been over to the dark side of Forex. Once you’re over that side of the fence, it can be really hard to admit you’re doing the wrong thing, change your behavior and mind-set, and ‘reset it all’ back to the way it needs to be. 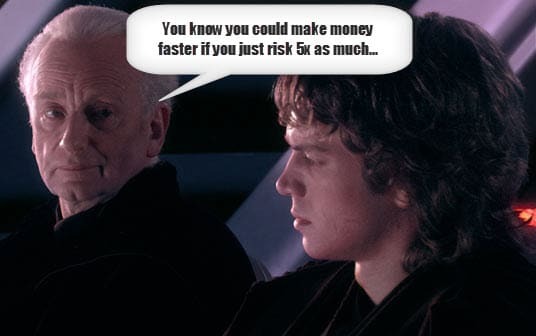 Jedi who’ve tasted dark powers found it harder and harder to turn away just like Forex traders who venture into this dark trading side and actually see some success from it. A big win out of an extremely high risk trade perhaps could be the trigger that locks in the dangerous mind-set. This is called ‘random reinforcement‘ where there is the off chance the market rewards you for your evil trades, and they actually do work out they way your expect them too that one time, and usher you into a dangerous, self-sabotaging and ultimately losing path. Beware the dark side of the Forex. The dark side of our Forex world leads you into a dangerous mind-set that sets you up for frustration, failure, and anger with the markets. Every trader knows the dark side is there, and generally are already aware of the dangers – but are sometimes overcome by the temptation to engage with it. You need to do everything you can to strengthen and maintain your self-control & discipline, so you never feel the need to venture to the dark side of trading. Most traders are willing to invest all the time in the world into finding that holy grail trading strategy that solves all their problems but are willing to do little in terms of improving their focus, mental & emotional mind-set. If you’re looking to build a solid foundation for your trading, I recommend you check out some of our price action strategies, or potentially even become part of our War Room, where we have the trading course, money management systems and a trading community which can help keep you focused. 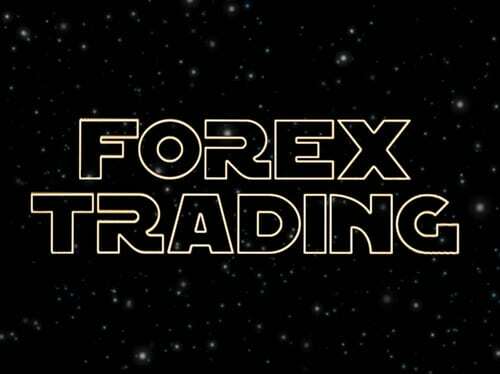 May the Forex be with you. Hi Dale: Thank you for this great article that really puts a lot of things into perspective. Personally, I've ventured into the Forex dark side years ago & don't want to do that again. Articles like this & your weekly Forex Trading Reviews are the tools that keep me (and I'm sure, your followers) on the straight and narrow path that leads one to become a professional trader. Thank you again!